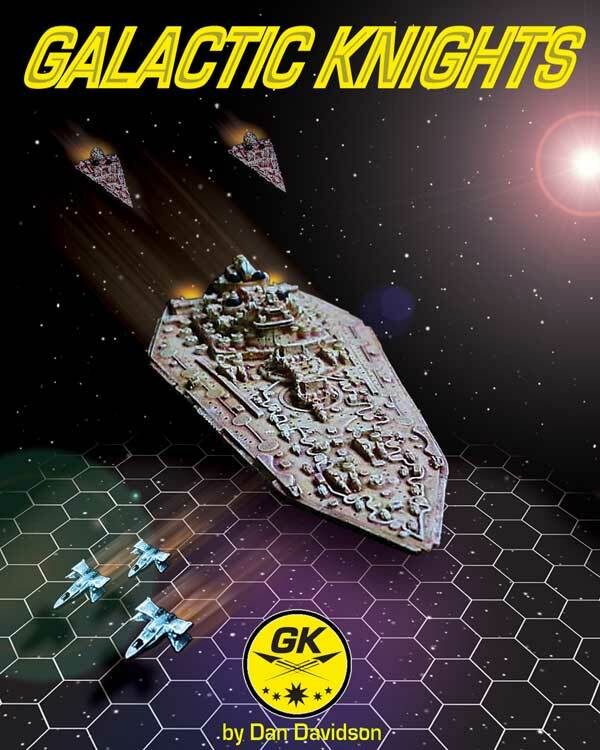 After years of playtesting and several different rules change, Monday Knight Productions is proud to announce the release of the rules design specifically for our Galactic Knights miniatures. This book contains complete rules for the Terrain and Avarian Navies (Future Releases will contain special rules for the other races). This book also contains a complete ship construction system for creating ships of your own designs, whether for ships from races not yet released or ships from completely other companies. 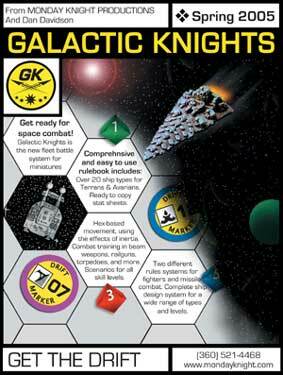 Contains: Rule Book, 3' x 3' Space Mini-Mat with 2" Hexes, 1 Screech Owl Destroyer Leader, 2 Hawk Destroyers, 1 Samurai Destroyer Leader and 2 Swiftshirt Destroyers. * - Note: Other colors are available upon request when ordering deluxe starter set.